Two days after Dr. Christine Blasey Ford testified that Associate Justice Brett Kavanaugh had sexually assaulted her in high school, there was a launch party in NYC to fundraise a new animated documentary titled Jennifer, 42. The detailed animation follows the true story of Jennifer Magnano and her three children as they face the horrors of domestic abuse. Jennifer and her three children escaped their abuser, Scott Magnano, and moved from their home in Connecticut to a domestic abuse shelter in California, ultimately having to return home in order to fight in a custody battle. Returning to Connecticut allowed Scott to find Jennifer, kill her, and then kill himself on August 23, 2007. We want to share this project with you not only because this story is very moving for us, but also because we want to see this animated film succeed. Producer Katie Hyde, David Magnano, Director Elle Kamihira, Jessica Rosenbeck, and Animation Director Yulia Ruditskaya at the Kickstarter Launch Party on September 29, 2018. At the launch party, located at Union Docs in Brooklyn, the creative team showcased three scenes from the documentary and then hosted a quick Q&A session with the producer, animation director, director, two of the Magnano children, and state victim advocate Michelle Cruz. Cruz was the head investigator and author of the legal document â€œMurder of Jennifer Gauthier Magnano Investigative Reportâ€� that called out many authority figures as bystanders in the case. Also discussed was a possible piece of state legislature in Connecticut that was proposed after Magnanoâ€™s passing. â€œJennâ€™s Lawâ€�, a law supported by her surviving children, would protect domestic abuse victims from having to see their abusers in court and would allow them to testify from an undisclosed location. Intern Melissa Parsons, Hyde, Intern Hannah Ponder, Kamihira, Impact Producer Chris Gauthier, and Ruditskaya hold up the kickstarter reward for pledges. Their Kickstarter campaign aims to reach $60,000 in donations by October 29. So far, they have raised $25,805 from 224 backers. 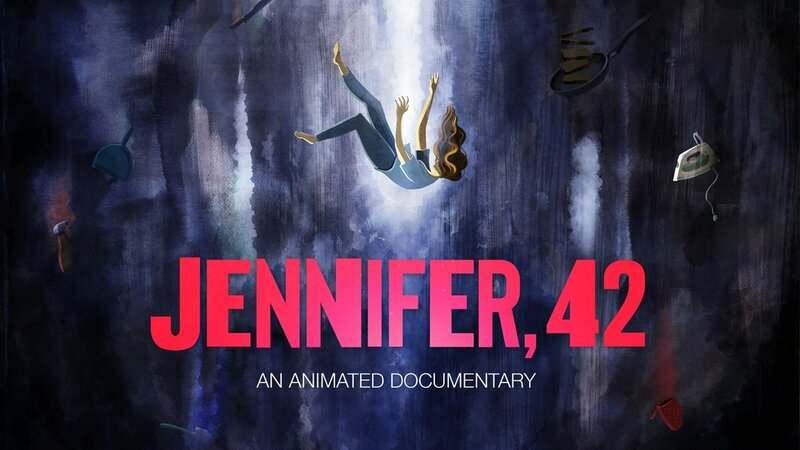 This is an all or nothing campaign; if you are interested in helping this important documentary get off the ground, visit their kickstarter page here or visit their Facebook Page @Jennifer42Doc.